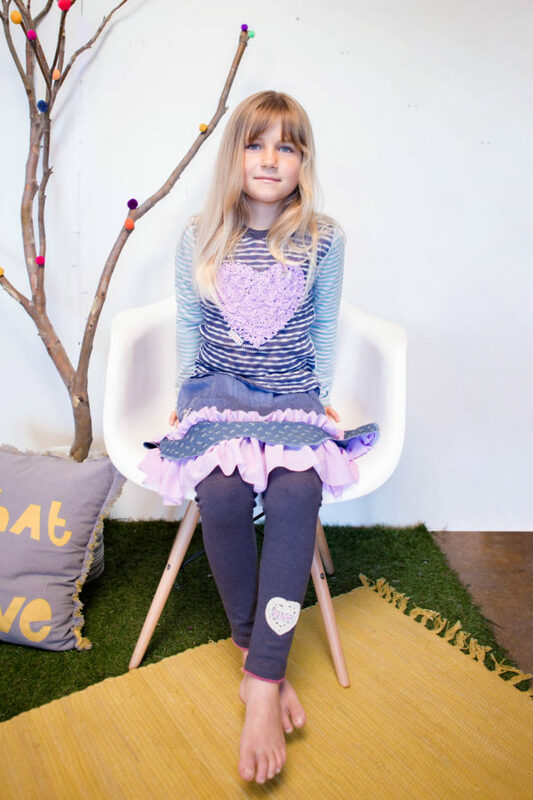 This skirt is a great basic for the colder weather and is a great set with the heart sweatshirt. The cotton lycra waistband is soft on tummies and very comfy. A lovely play on textures with a cord body, printed wavy frill and princess mesh frill at the hem. Available in Stone and Denim Blue.